Thank you for visiting our nursery page! Our Mission is to provide young children with caring, happy, and safe experiences within a loving, trusting Christian environment. 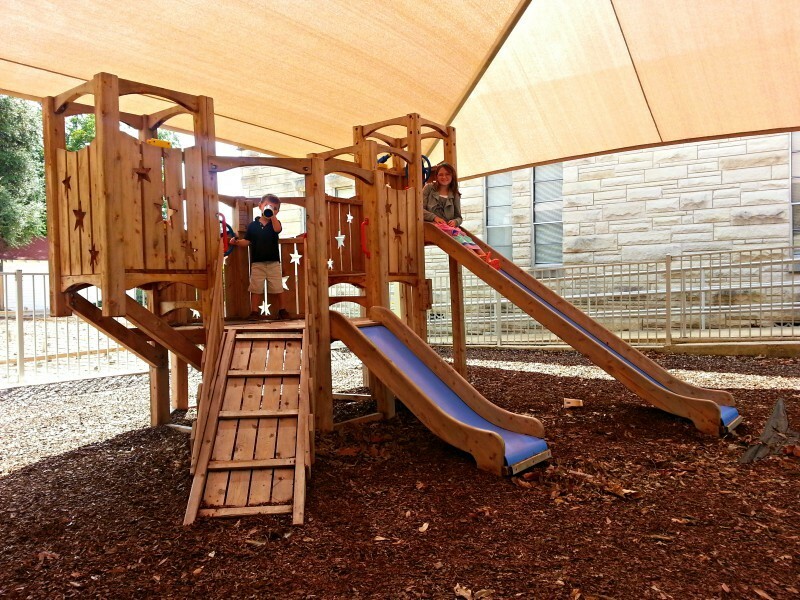 We hope your children will enjoy our beautifully equipped area designed for safe, creative play, and learning. Your child's safety and your peace of mind are important. To that end, a silent paging system is in place to notify parents should they be needed while away from their children. Parents are invited to explore the nursery with their children as they both become familiar with the environment, nursery staff, and parent volunteers. For mothers and babies seeking a private feeding area, the nursery offers a comfortable "Nursing Nook." The nursery is available for infants and children under the age of four on Sunday mornings for both church services and during Sunday School. For children four through seven, please visit "Children's Education" for information on children's church and Sunday School. If you're looking for an adult Sunday School class, you'll find fellow nursery parents in both the Christians Under Construction class, located off the nursery, and the Seekers class, located in the Family Life Center in the same area as children and youth Sunday School classes. Please let our nursery staff or church members know if you need help locating a class or another area of the church. In addition to Sunday morning services, child care is available, as requested, for other church functions by contacting the church office or Nursery Committee Chairperson, Cat Pearson. Comments and/or questions may also be sent. United Methodist Women and church members are served by the nursery through a free Parents Day Out held the third Thursday of each month from 10:00am to 2:00pm. 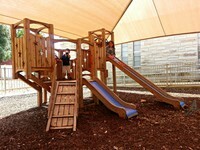 This fun-filled day includes creative play, art projects, outdoor activities in the covered playground, and lunch time. We'd love to meet you and are eager to extend Christian love and care to your child. 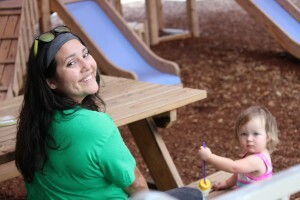 We welcome parent involvement, and are always open to concerns, comments, and ideas to improve the nursery program. We hope you'll come and worship with us soon! Our nursery is blessed with exceptionally qualified caregivers who have worked in the nursery for many years. They provide continuity while regular nursery attendance instills a sense of familiarity and security in infants, toddlers, and preschoolers, and helps them grow into faith-filled individuals. In addition to being CPR and First Aid Certified, our nursery staff receive annual background checks, and are knowledgeable in caring for children with special needs. Mary Lenstra joined the nursery in 2003. She has a Bachelor's Degree in Computer Information Systems and an Associate's Degree in Child Development in Children Zero to Five Years Old. She has worked for Head Start for twenty-five years. Mary has cared for eight of her own grandchildren in the nursery and served as an honorary grandmother to many of the older children and youth members during their nursery days. Heaven Kerchee began volunteering in the nursery as a teen. She joined us as an official staff member in 2012. 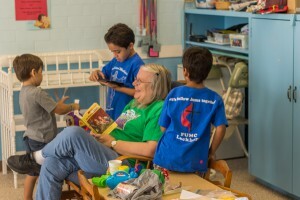 In addition to being a popular babysitter, she has helped with music and led the games rotation during Vacation Bible School for several years. She is currently a junior at Texas State where she is pursuing a Bachelor's Degree in Special Education.